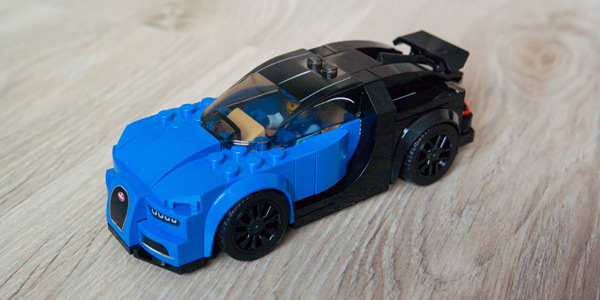 In this article I will briefly review the 2017 Lego set of the Bugatti Chiron supercar (the set number is 75878). Bugatti Chiron is the fastest car in the world that’s being sold as a production model. Its top speed is 261 mph (420 kph) and it is electronically limited to this number. So the anticipated top speed could be even around 288 mph (463 kph) if it would not be limited. It is a really nice luxurious supercar. The older Bugatti’s model called Veyron already needed a replacement. So here it is, the new Chiron. 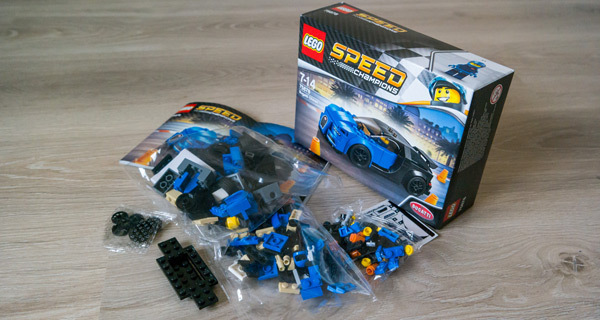 This Lego Bugatti Chiron set was released in early 2017 as a part of the Lego Speed Champions 2017 collection. This collection includes (besides the 75878 Bugatti Chiron set) the following sets, too: 75877 Mercedes AMG GT3, 75879 Scuderia Ferrari SF16-H, 75880 McLaren 720S, 75881 2016 Ford GT & 1966 Ford GT40, 75882 Ferrari FXX K & Development Center and 75883 Mercedes AMG Petronas Formula 1 Team. The set contains 181 pieces and includes a racing driver minifigure as well. The minifigure can be placed inside the car, too. 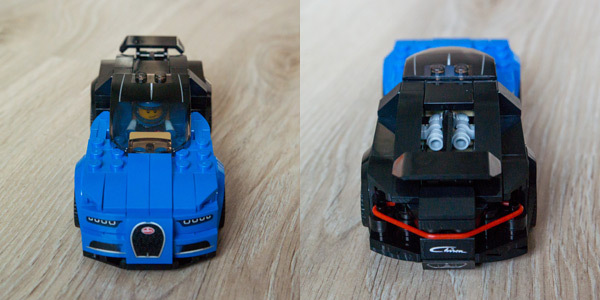 Most of the parts are of the blue and black color, like the default Bugatti Chiron model is. What is really interesting about this model is that the rear lights are built with the red rubber band. It also includes some stickers for the front lights, air intakes and the exhaust at the rear part of the vehicle. There are two sets of rims included and the set also includes some accessories: a wrench and three orange roadwork cones. The product is ideal for kids of the age 7-14 years old. It took me 25 minutes to build it completely. 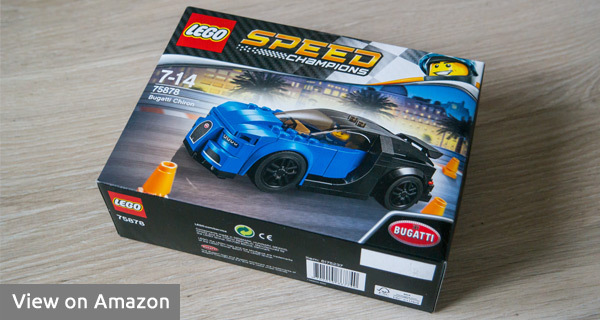 Also, this Lego set is released with a Bugatti license. 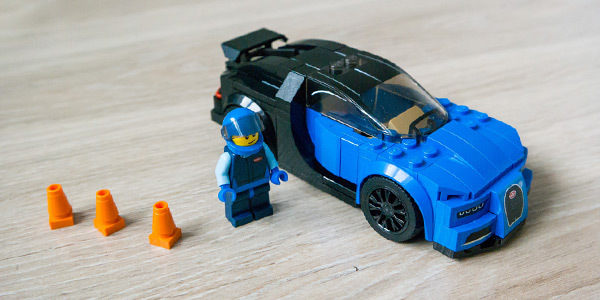 If you are a supercars fan and also like Lego, this set is a must-have for you. As for me, I already own this set. I bought it, because it was quite cheap and I needed to take some real pictures of it for this review. I hope you like the photos. I asked my brother to take them for me, as he is a hobbyist photographer. So I would also like to thank my brother Lukas for taking these photos.